Some 30 containerships are without a berth in the Antwerp region, following a 24-hour walkout by the Flemish Pilotage Service union. The strike commenced at 7pm on Monday, with sources yesterday telling The Loadstar that about 40 vessels were then outside Antwerp, unable to discharge or load. “At Antwerp at 8am this morning, there were still 30 vessels waiting to enter and three waiting to leave,” another source said. Due to the backlog, the source said, there was now “an acute” lack of pilots to handle vessels waiting to berth. In response, ultra-large container vessels reportedly did not wait, the lines opting to divert their vessels to Rotterdam, before rerouting boxes on barges back to Antwerp by inland waterways. 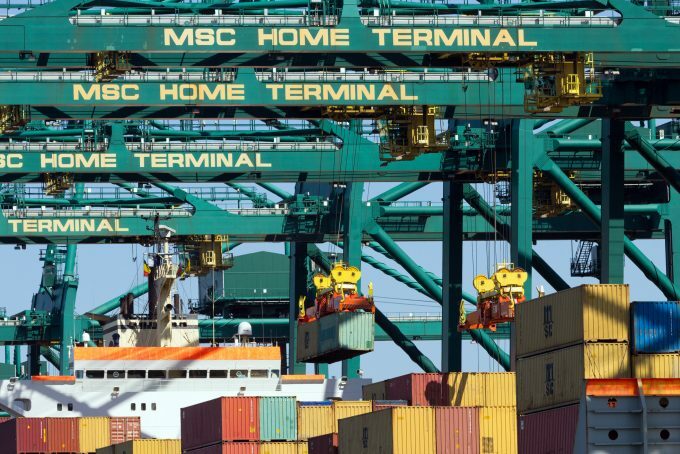 “MSC is stuck at Antwerp with about 20 ships – 11 of which are inbound – that will have to deal with the consequences of the strike,” the source continued. European Gateway Services informed customers yesterday that the strike had resulted in “consequences” for shipping traffic in and around the Belgian port. However, the port’s warning of a further strike may now be outdated: The Loadstar understands that action planned for Friday has been called off. “Operators are very happy the strike planned for Friday has been cancelled, because that would have meant a new dent in the reputation of the Flemish ports,” the source added. Despite the problems, one source seemed fairly confident the remaining vessels would be cleared today. However, a second source questioned the feasibility of clearing the backlog within such a tight time frame. Antwerp has become the latest European port to be hobbled by industrial action, with Gothenburg gripped by a dispute between APM Terminals and dockworkers. Members of the Swedish Dockworkers Union have been engaging in strikes since January 2017, and while first-half 2018 volumes saw some recovery, the stand-off remains. At one point last year, the problem descended into “farce”, with mediators walking away from the table.